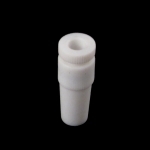 PTFE stirrer bearing adapter with 8mm inside diameter. 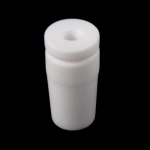 With removable O-ring is ideal for jointed containers when used with mechanical stirrer. Size #14. Fits ground joints of size 14/20. Size #19. Fits ground joints of size 19/22. Size #24. 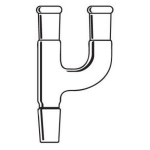 Fits ground joints of size 24/40.